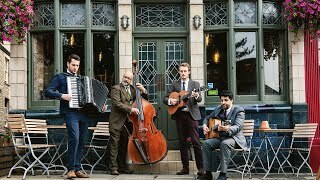 Add a vintage European twist to the proceedings with Belleville Ensemble - an exceptionally talented group of musicians that will leaving your guests beaming from ear to ear. The XL deliver a truly exceptional live sound with their carefully crafted arrangements of popular hits from across the decades. The band's high-energy performance promises to deliver an unforgettable evening for you and your guests as they showcase a range of classic pop, soul, Motown, funk and bang up-to-date chart hits. The XL offer a variety of line-ups to suit your venue and budget - from a 6-piece band featuring male and female vocals to the full 11-piece with additional vocalists and brass section.